Taking up where Luther’s Pine, the story of John Molony’s youth and early manhood, left off, By Wendouree continues his journey from ordination in Rome in 1951 to his marriage in Ballarat at the end of 1963. 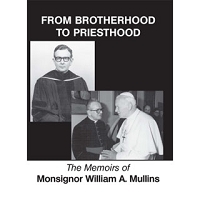 When Molony left Rome in 1953 he had been formed in his priestly mission by working among the poor and those who remained displaced by the upheaval of World War II. Under the broken arches of the aqueducts bordering that ancient city, Molony learnt the meaning of compassion without judgement and how to inspire hope amidst despair. In stark contrast, the Boston of the 1950s where Molony spent some months on his journey home to Australia, was a dizzying mixture of optimism and affluence that went some way to healing wounds caused by the dour privations of post-war Europe. Imbued with a political and social engagement that had been stimulated by life in the shadow of the Vatican, Molony returned to Australia determined to spend his priestly life in his country. Throughout the next decade, the Roman that Molony had become contended with the Australian that he wanted to be. 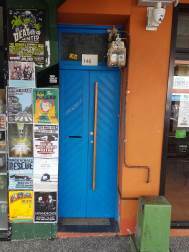 Exhausted and conscious of the diminishing fire that darkened the life of his spirit, the young priest concluded that it was ‘too much for Molony’ and left Ballarat with a wife and the prospect of life in secular Australia of the 1960s. 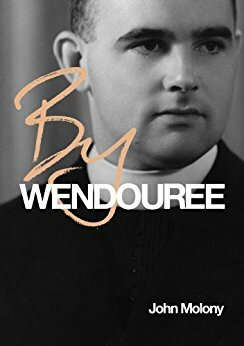 In its lyricism, the evocation of place and exploration of the complex process of learning to know the self, By Wendouree is a rewarding and moving continuation of the story of an Australian life. Professor John Molony has had a distinguished career as an academic and historian, as well as actively participating in movements and causes including Catholic Action, the Labor Party, the Indo-Chinese Refugee Association, the Dante Alighieri Society, Australian Rules football and the Eureka Stockade Memorial Trust. He has had published 13 books as well as numerous articles in academic journals.